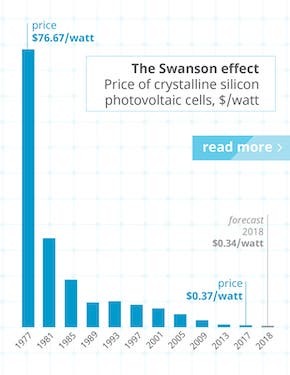 On CleanTechnica, we love smart e-mobility solutions. 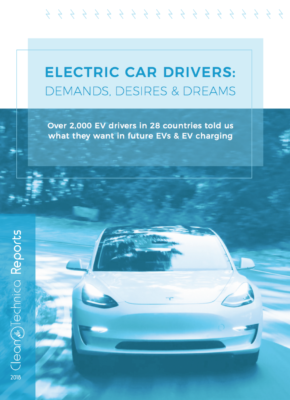 And as much as the electric vehicle (EV) rEVolution has certainly opened up solutions, it also let loose engineers’ and designers’ full creative juices to devise some pretty smart ones. A few years ago, Steve Hanley covered the EO Smart Connected Car, and the EO Smart Connected Car 2 shows how the vehicle has matured to offer an ideal solution for urbanites. The “holy grail” of urban mobility seems to take on various shapes and forms, but one commonality is its smart use of space and intelligent navigation systems. The EO Smart Connecting Car 2 hits those two must-haves and also adds a few other smart features. 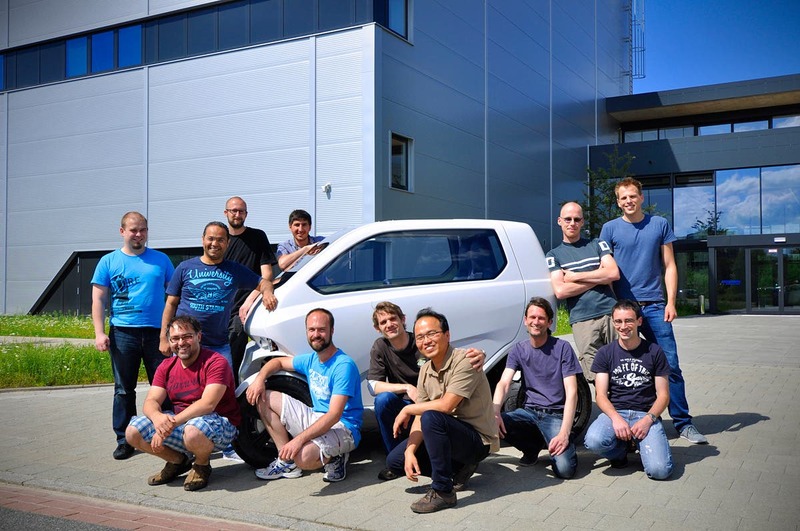 The collaboration of scientists at the German Research Centre for Artificial Intelligence (DFKI) in Bremen makes the EO tackle many of the problems we face in urban traffic. Sometimes we’d love to have the footprint of the Smart ED but with more room. 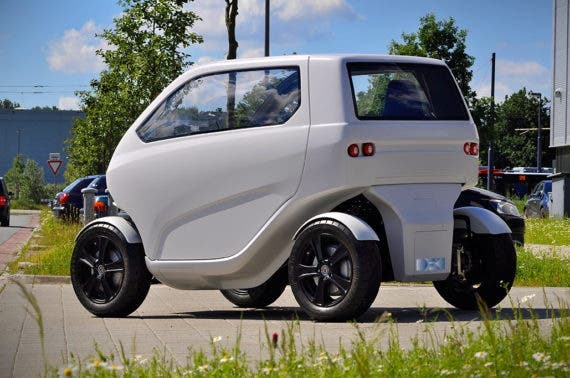 Imagine a car that is comfortable but can squeeze into a motorcycle parking space? The EO Smart Connected Car 2 does just that. It raises its hind wheels and shrinks to a more manageable size to fit into tight parking spots or park perpendicularly. And the way it achieves this is by making sure its four wheels rotate individually to tackle any parking angle. Part pod, part cargo, the platform can use a number of modules to adapt to whatever traffic situation you might need. 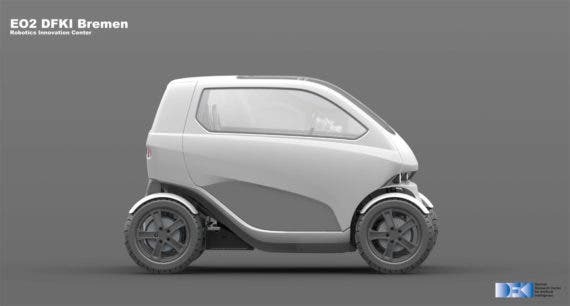 Similar to the Rinspeed “Skateboard” concept we covered, the EO Smart Connected Car 2 can morph from a two-seater car into a family sedan, and even a cargo hauler — making it a perfect fit for fleet owners. Shrinking cars are nothing new and Sbarro had a terrific gas-powered supercar that wouldn’t go faster than about 80 mph but had some of the best 0–60 mph acceleration. What was particular about it is that it would shrink to park anywhere. And that was back in the ’80s! Are there any traces of that car? We cannot find it anywhere now. The website may raise eyebrows for people reading that the EO Smart Connected Car 2 can drive diagonally, even driving sideways, and that it turns on the spot, or pivots, while maintaining a comfortable seating position. Indeed, we never knew we wanted to do all that and sit comfortably. 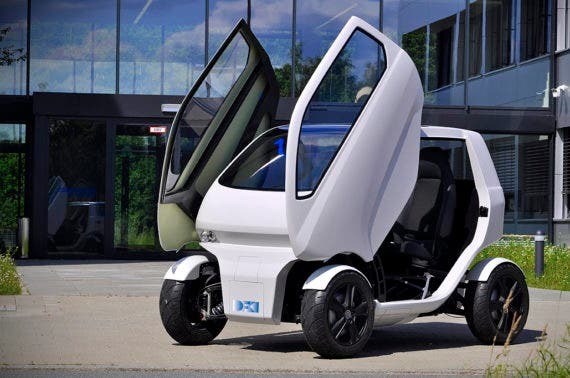 But joking apart, the EO offers compelling solutions for urban driving. We wonder if some will have the stomach to drive sideways in Los Angeles. What is a modern car without also being an autonomous vehicle (AV)? 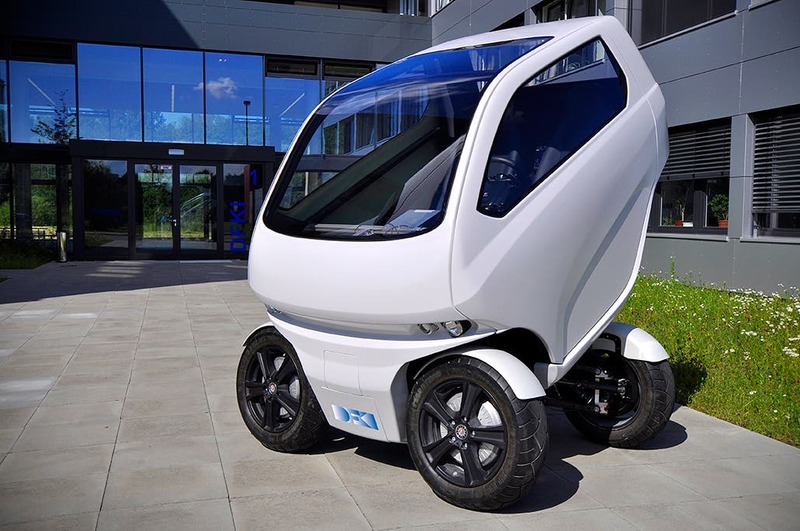 This car’s AV system provides extensive driver-assistance functions such as autonomous parking that can even tackle narrow and congested roads. And if anyone has ventured into a public parking area lately, they will welcome that feature, which to us seems should be a must-have these days. Another smart feature in the EO Smart Connected Car 2 is its connectedness, as its name suggests. By clicking together many EOs on longer stretches of roads, the overall chain of pods would save up to 33% traveling energy. The only problem we can see with that is who will call shotgun? And for our international friends, who will want to be in the back or middle of the chain? The team really racked their brains by also thinking of the problem of range by allowing the connection of extension modules. 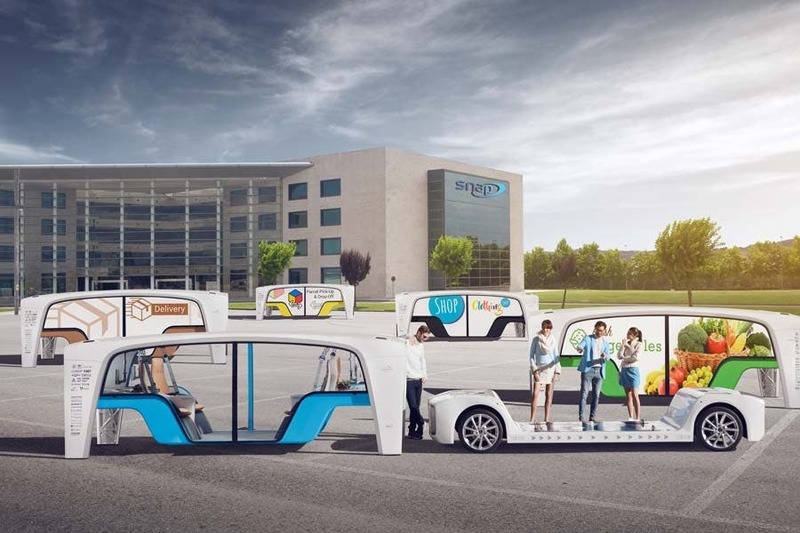 In other words, the EO Smart Connecting Car 2 can also get range extenders and morph to accommodate more passengers as well as cargo modules. Versatility is the name of the game if we want to answer today’s urban mobility problems. Created from October 2011 to July 2014, the EO serves as a demonstration platform of how various features and technology can come together to answer the needs of modern mobility. 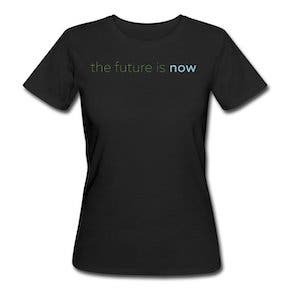 We would expect not too many Baby Boomers or even Gen Xers to get the concept. Our generations were raised on “pride of ownership,” something the newer generations seem to have turned their backs on. Even the staunch mainstream Toyota carmaker realizes that and is now opening its corporate fleet system to the wider public. As always, there are many solutions to any given problem. Although each has its pros and cons, the more solutions presented means we’ll slowly find what answers our needs best. Most concepts so far seem to hint at a flexible platform with a swappable pod-like system. It isn’t far-fetched to see a near future where parts of our homes and apartment complexes will detach to become mobile and travel to family outings for holidays. We’re happy the boring ’80s and ’90s are now far behind us. 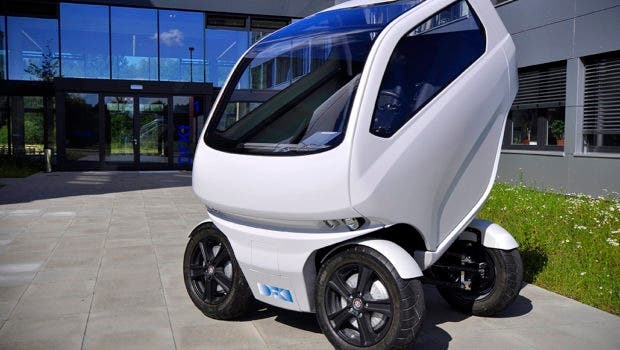 Welcome to the wild new world of AVs, EVs, and detachable pods, where the EO Smart Connecting Car 2 shows what can be achieved.